The French-Mexican Chamber of Commerce promotes business development between France and Mexico by offering services to their members and the community and coordinating events which strengthen French-Mexican business alliances. After using only Excel spreadsheets, The Chamber wanted to have more meaningful contact with their members, keep better track of membership and also increase attendance at events by improving the way they handled event registration and promotion. CiviCRM has allowed them to do all of those things and is easy to use. Another great feature of CiviCRM is the fact that it’s available in different languages and they currently use the Spanish version in their office. It was essential to find ways to create more meaningful contact with members and increase memberships and attendance at events. CiviCRM has allowed for all of that and more. 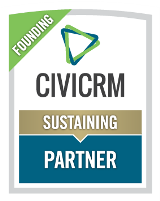 CiviCRM allows your organization to be more efficient, but you need to make sure that all of the staff is using it. It’s important to establish some rules and a procedure to encourage employees to use the CRM, and do this right at the beginning when the system is newly implemented, since staff can be resistant to new technology and new ways of performing their tasks. This requires the leadership of the head of the organization to support every staff member in this change. Before making the transition to CiviCRM, we were using Excel spreadsheets shared on a server. We wanted to have more meaningful contact with our members, keep better track of membership and also increase attendance at events by improving the way we handle event registration and promotion. CiviCRM allows us to do all of those things and it is easy to use. Another great feature of CiviCRM is the fact that it’s available in different languages. We currently use the Spanish version of CiviCRM. We use many of the event management features including the creation of online event registration pages. CiviCRM has been great for keeping track of membership expiration dates, as well as being able to easily access the information regarding the membership database. Our online membership directory is now automatically populated and updated with membership information coming from the CRM including member organization name, logo, address and name of the representatives. There is no longer a need to manually update the directory. We also have an employment page created in CiviCRM that saves time compared to our system before when we were organizing all the data in an Excel spreadsheet. It’s easier to track contacts and know their history, which events they attended, what is happening with their membership, which service they bought and how much they paid. This has resulted in more loyalty with our members. We have increased attendance at our events since it’s easier to sign up online. We’re also more organized as a staff and we get things done quicker than before.